Tarek Chemaly: Royal Jordanian - Christmas on a high note! 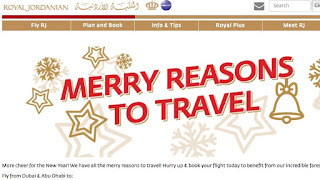 Royal Jordanian - Christmas on a high note! Royal Jordanian ends 2017 on a high note - first a recap of their year (here, here, here and even if cheating a bit this classic from 2016 here), so it was indeed a stellar year for them. 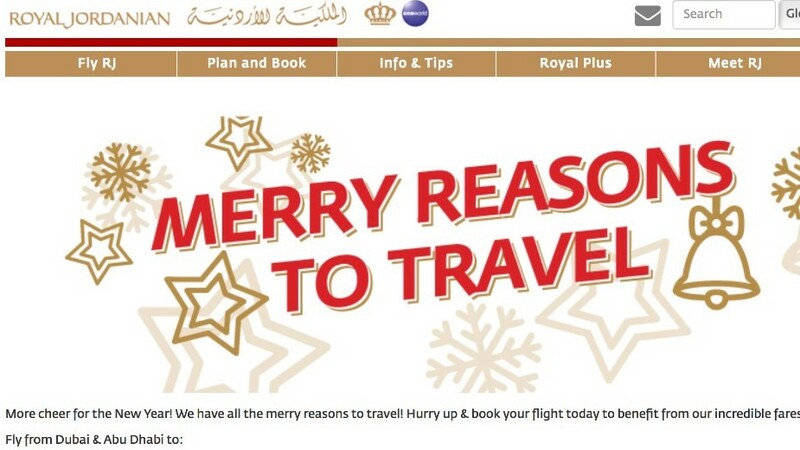 And for the end-of-year festivities they are offering "merry reasons to travel" and what translates from Arabic as "happy new travels". So there, they ended the year like they started - funny, witty and charming. Here's to more in 2018!